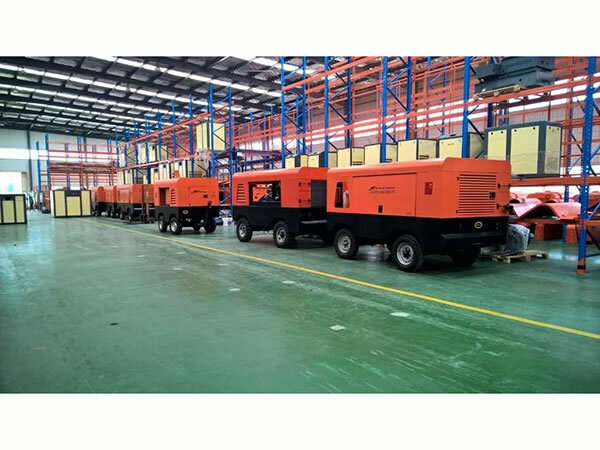 For the moment, our diesel portable air compressors are available with the following volumes: 3 cubic meters, 5 cubic meters, 6 cubic meters, 10 cubic meters, 17 cubic meters, 25 cubic meters, 35 cubic meters, etc. 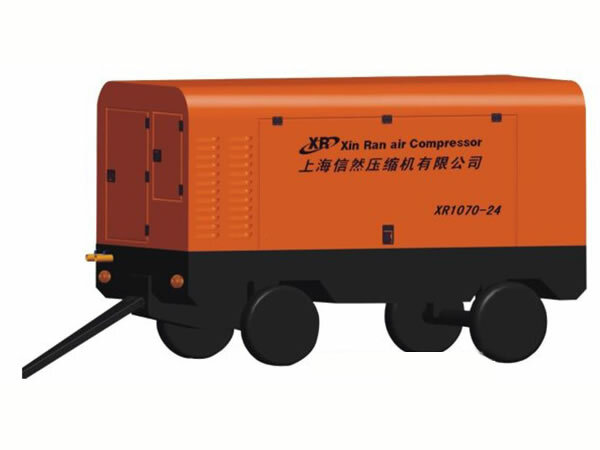 Portable Diesel Air Compressor for Municipal Use: XR - 135-8, XR185-8, XR265-8, etc. 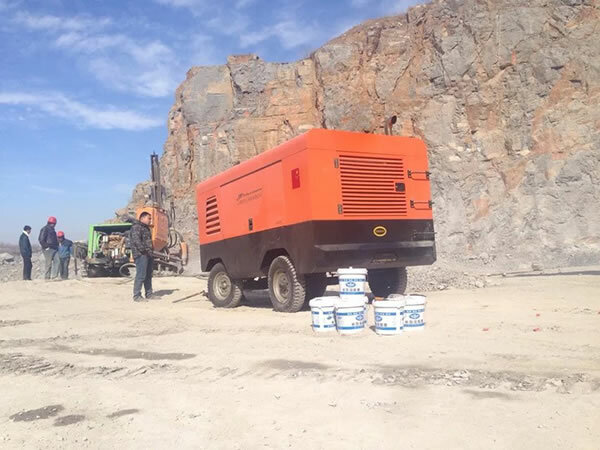 Portable Diesel Air Compressor for Mine: XR300-14, XR400-13, XR460-14, XR500-10, XR600-14, XR750-14, etc. 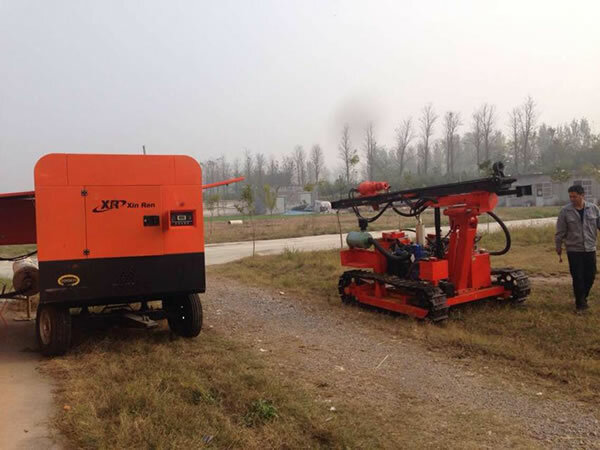 Portable Diesel Air Compressor for Water Wells: XR750-20, XR900-14, XR1070-24, XR1170-30, etc. 2. 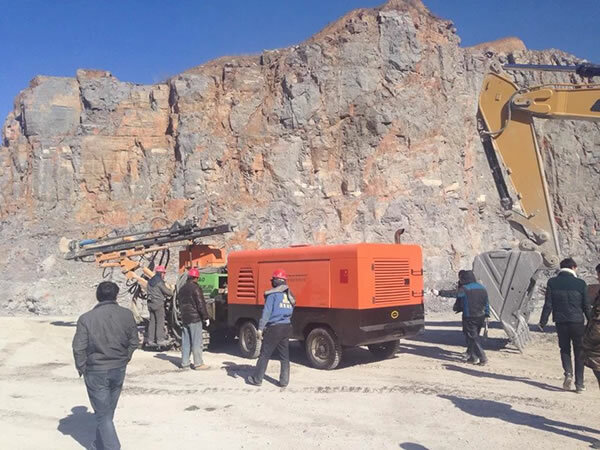 Easy Operation and Maintenance: Thanks to the high degree of automation, the operator doesn't have to be trained for a long time. 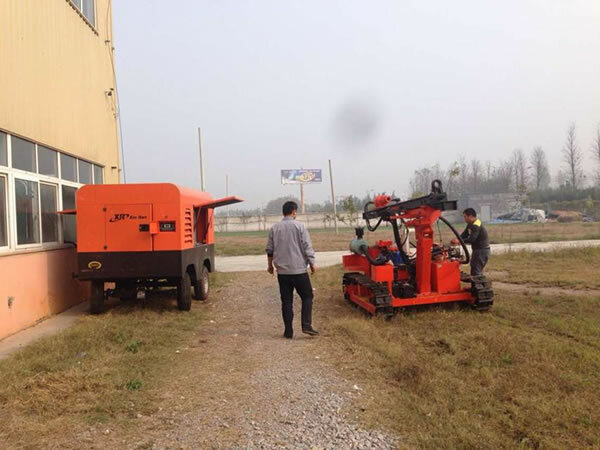 The unattended operation can be realized. 3. Good Balance: There is no unbalance inertia force. 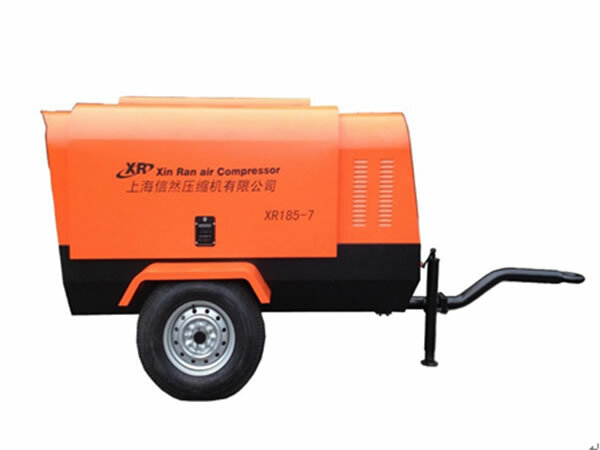 The compressor can run smoothly at high speed. 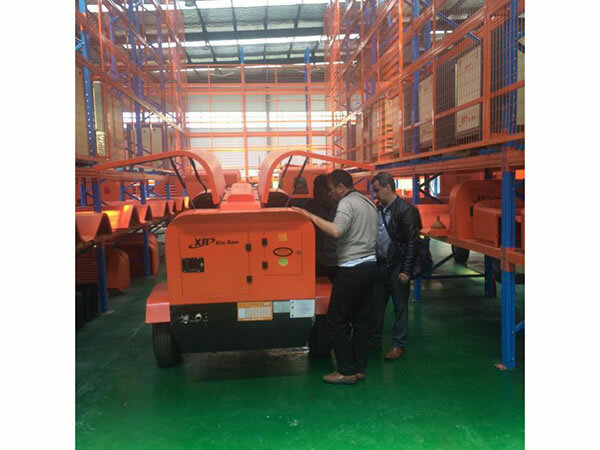 It is characterized by small volume, light weight and covers little space. 4. Strong Adaptability: It features forced air feed function. 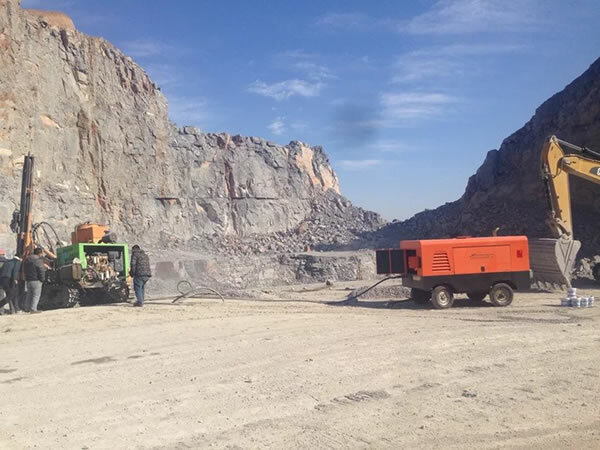 The volume flow is barely affected by exhaust pressure. 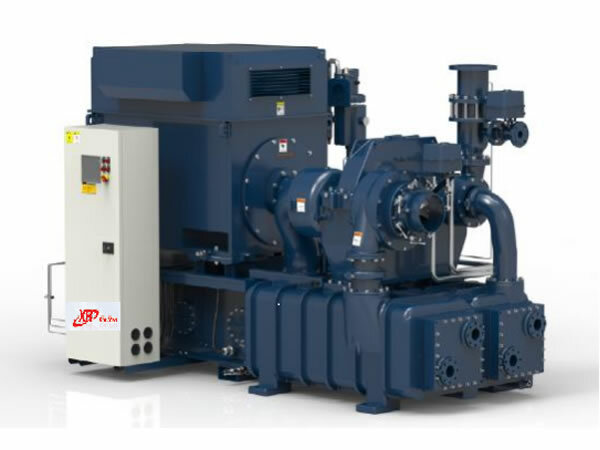 It keeps high efficiency in a wide speed range.